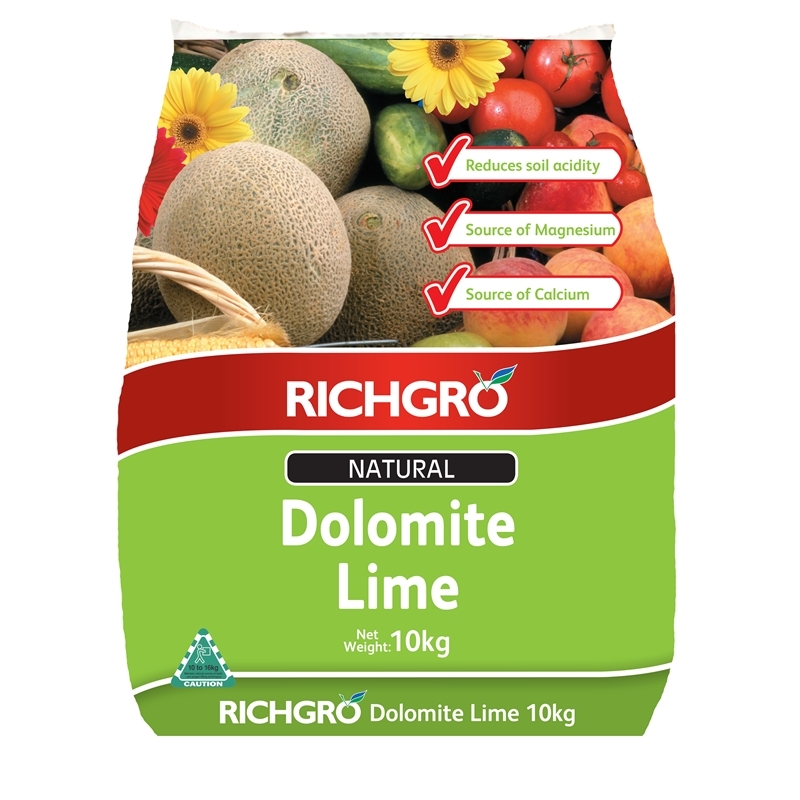 Richgro Natural Dolomite Lime helps reduce soil acidity and is good source of magnesium and calcium, which are essential plant nutrients. 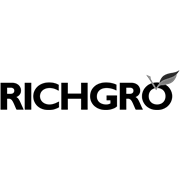 It will provide favourable conditions for the formation of humus from organic soil matter. 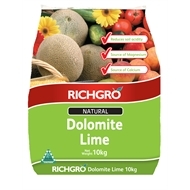 Richgro Dolomite Lime can be used in conjunction with other fertilisers and may assist in nutrient intake. A natural product, it has been mined from natural sources and no added chemicals have been used in the process. 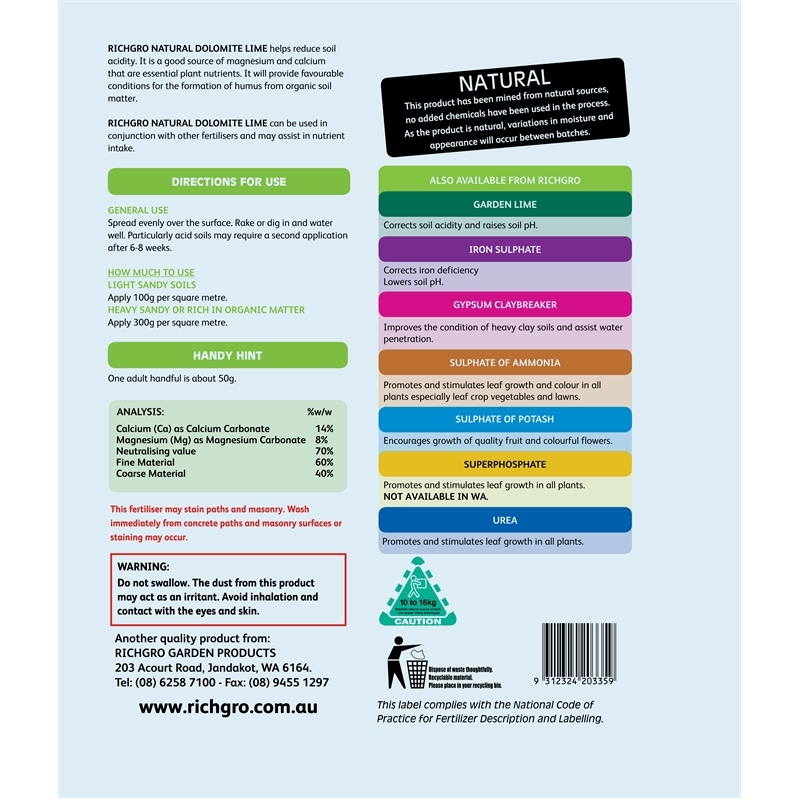 As the product is natural, variations in moisture and appearance will occur between batches.